The EGT participates every year in Community Fest in the fall and at the National Night Out in August. 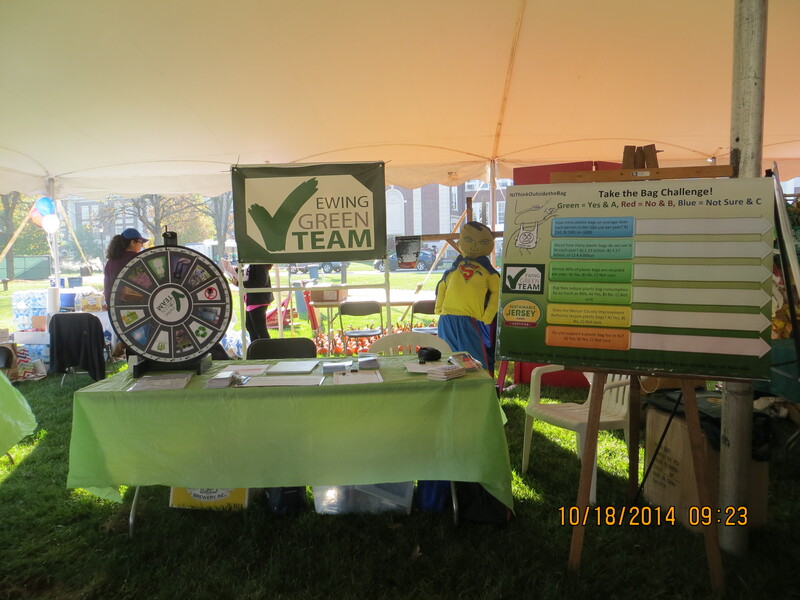 The EGT has also been a major contributor in the Living Local Expo, a county wide “green fair” that is held each March. As evidenced by this website and FB, the EGT conducts a constant effort to communicate our activities and recommendations for a greener lifestyle through continuous outreach thru these methodologies. 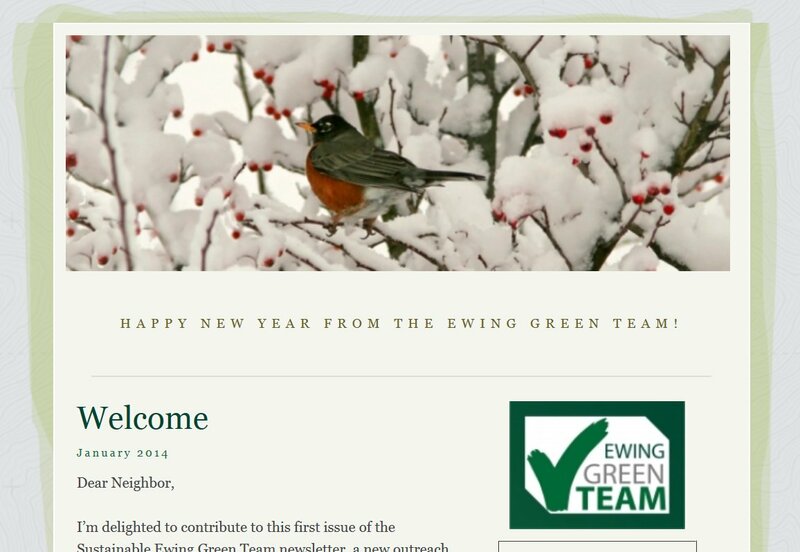 Beginning in January 2014 the Ewing Green Team began a new outreach effort with (a minimum of) quarterly newsletters to our developing email list. Our aim is to inform people of “green” events in the area and to keep them abreast of significant sustainability issues. In January 2014 we offered our first Environmental Insights Series program. 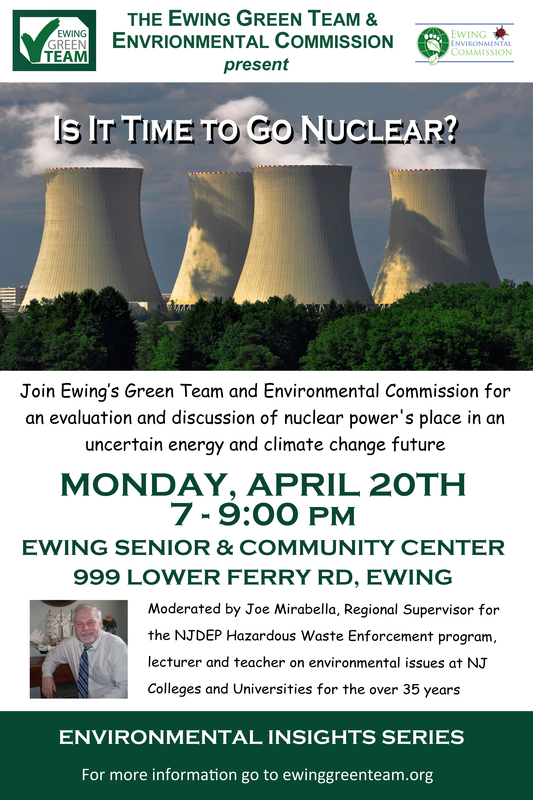 This series is meant to start a public conversation in town about critical environmental issues thru lectures, film or discussion groups. Issues discussed include local food, hazardous waste, rain barrel and rain garden creation, plastic bag waste, open space, etc.